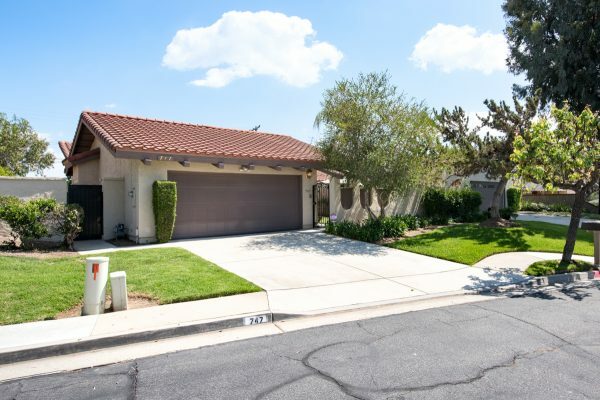 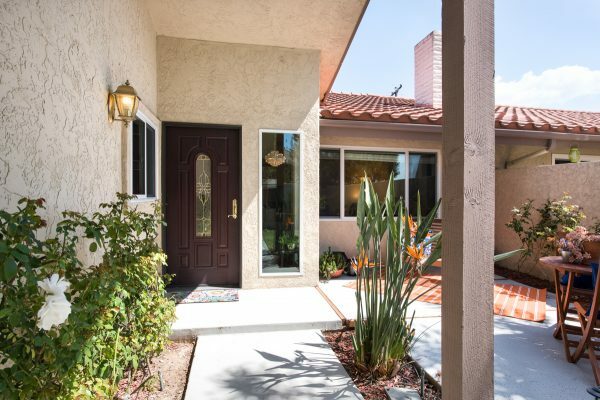 This single level and move-in ready Stone Pine Estates home is in an excellent location. 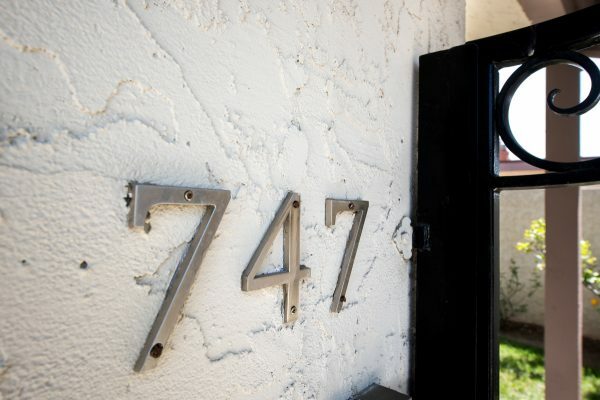 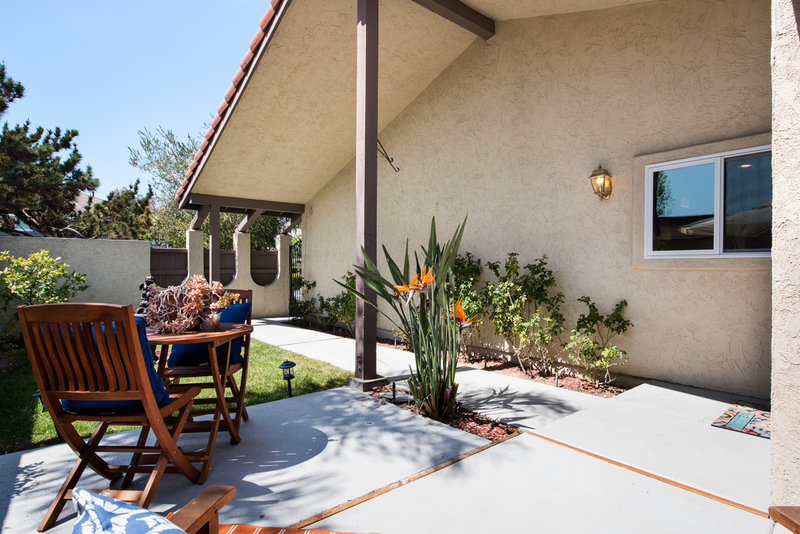 The Modern Mediterranean architecture is timeless and very sought-after and the neighborhood is one of the most popular in Fullerton. 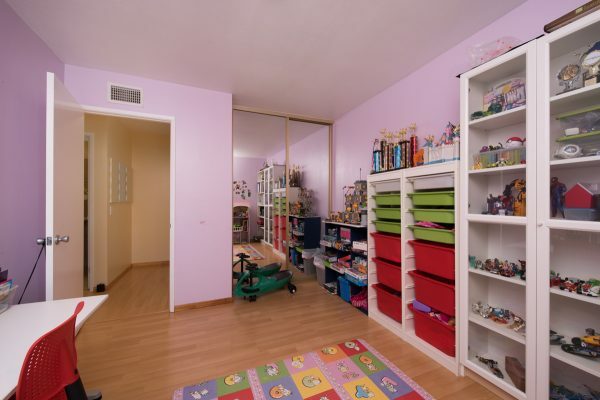 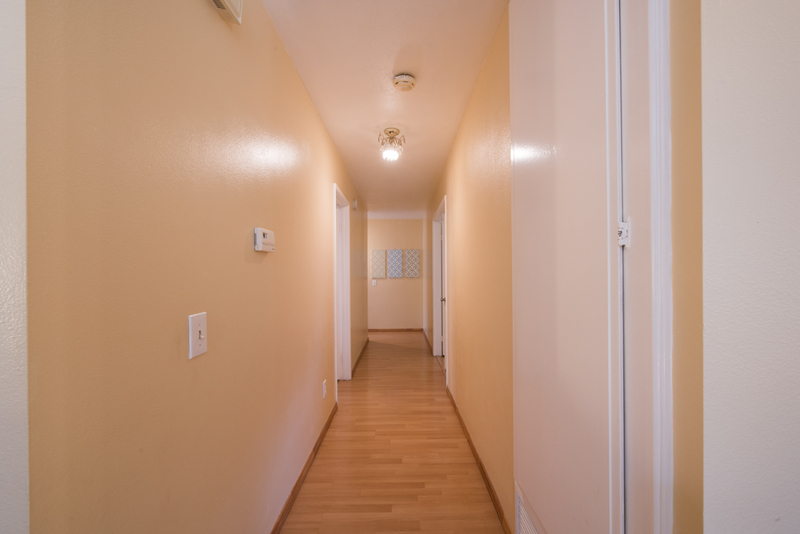 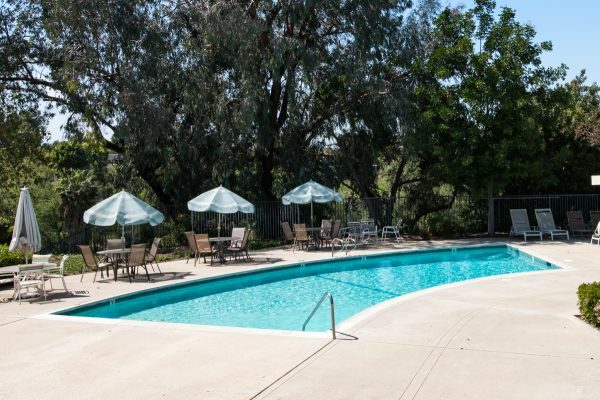 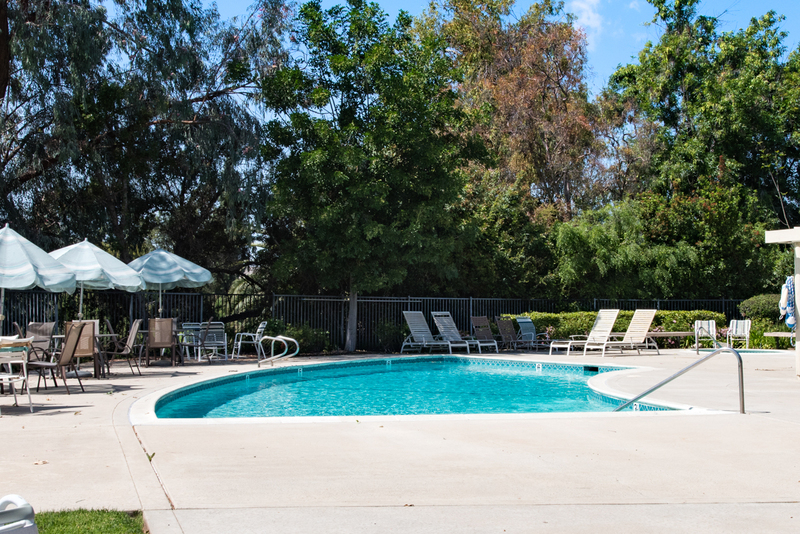 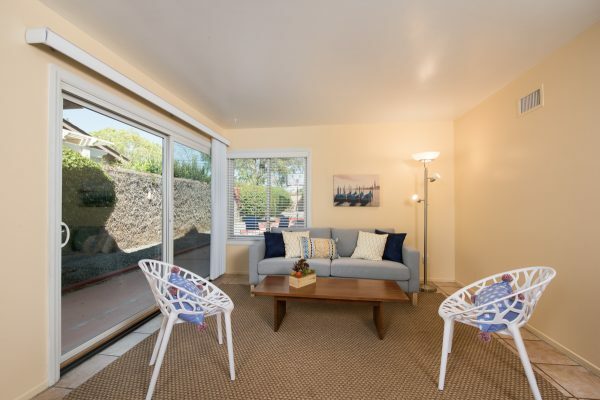 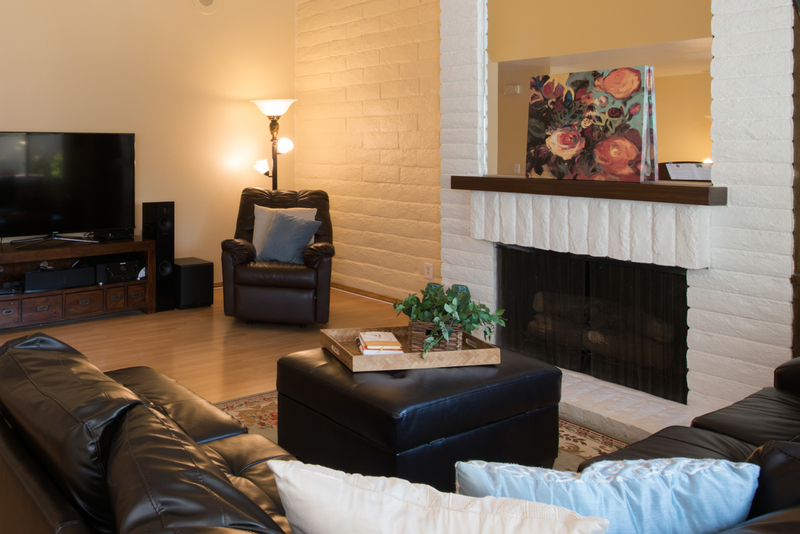 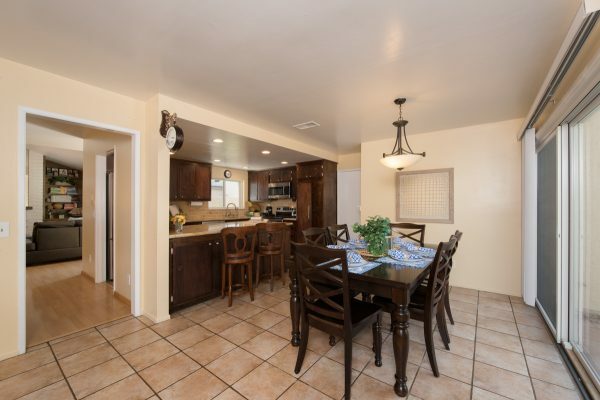 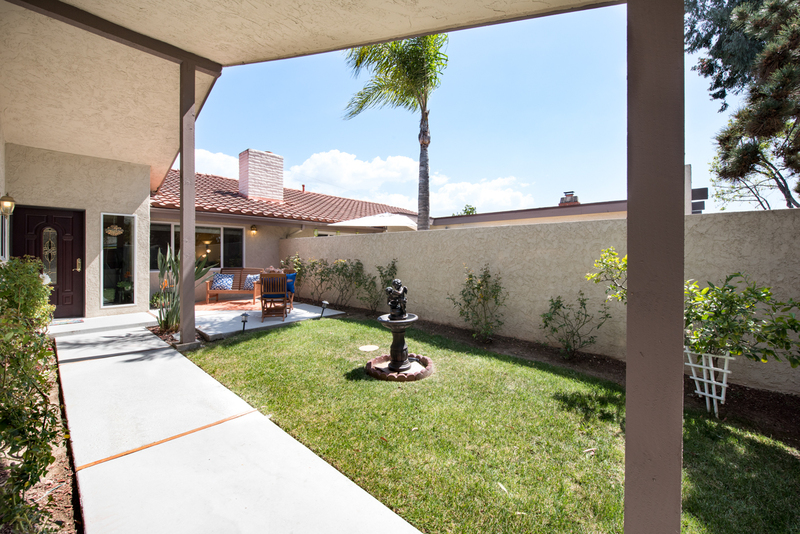 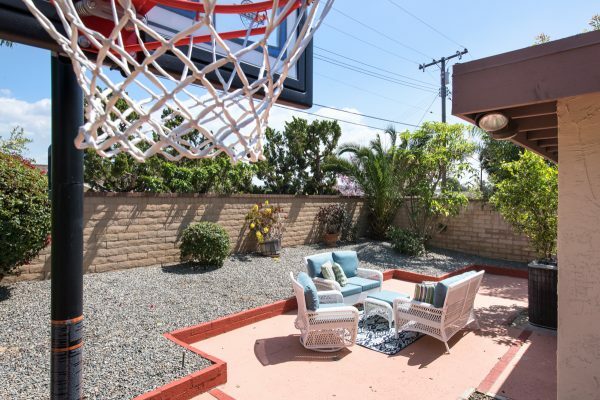 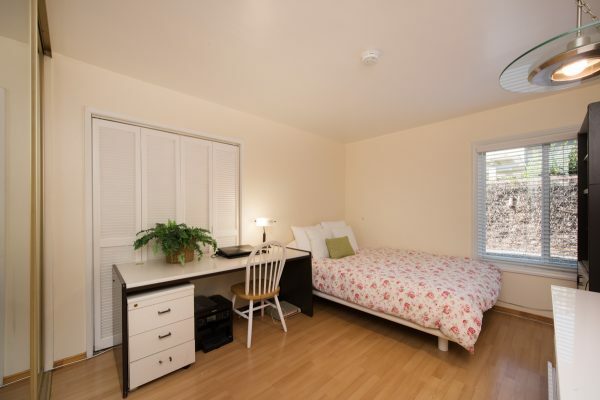 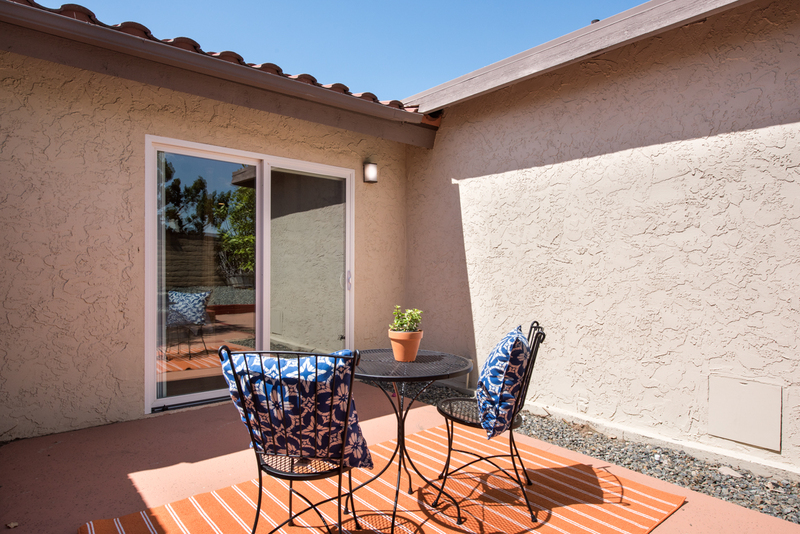 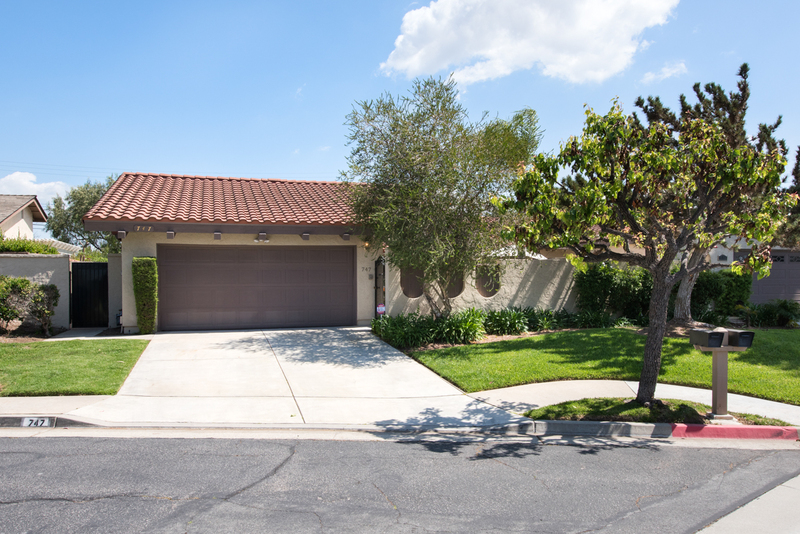 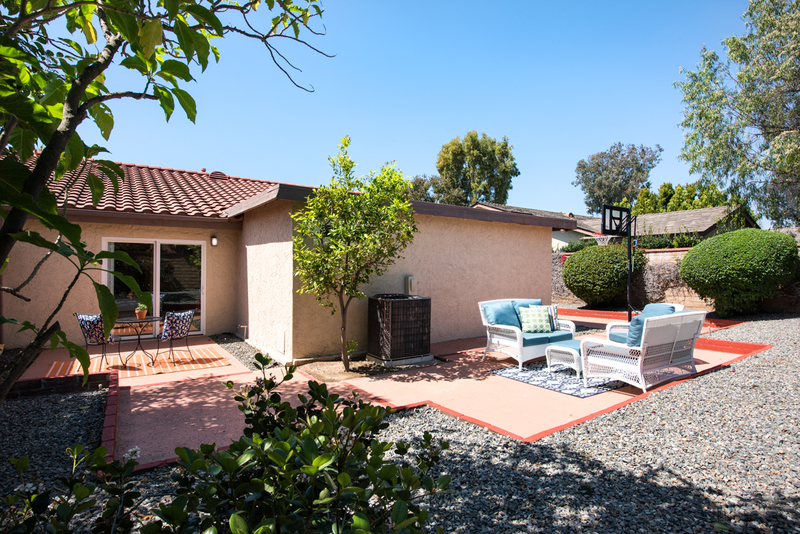 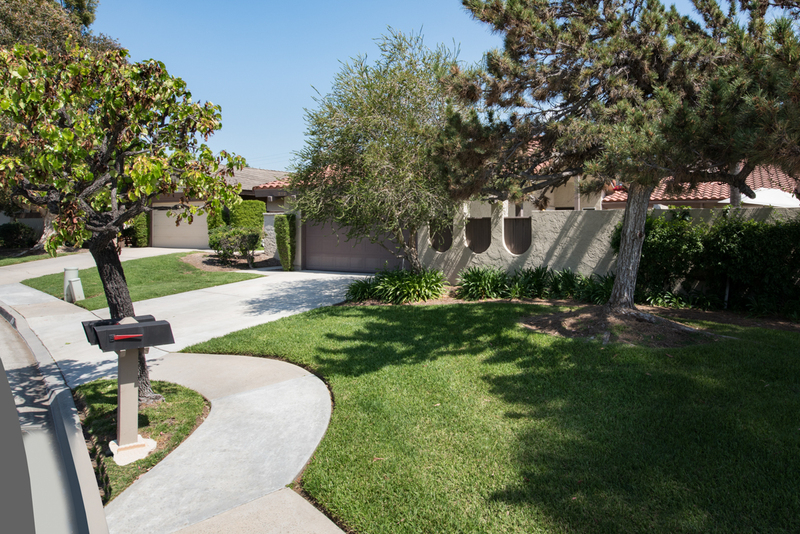 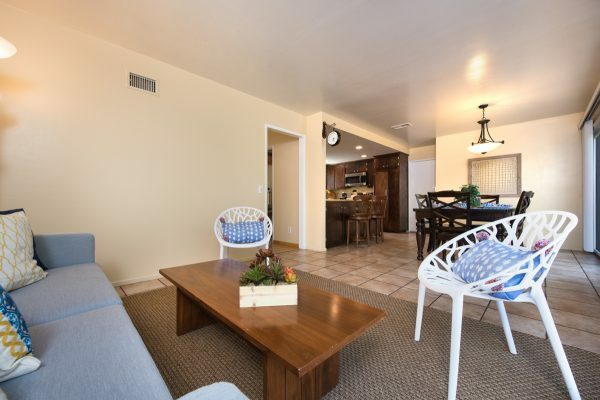 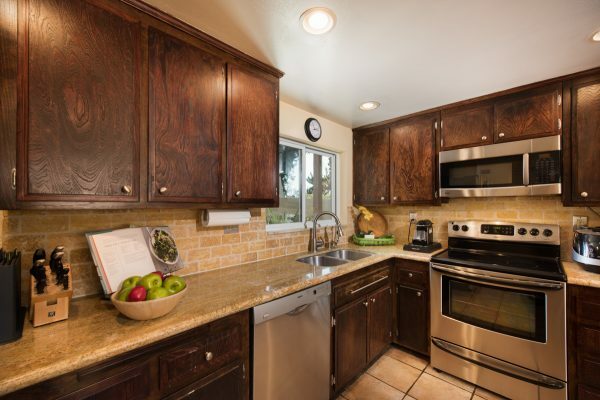 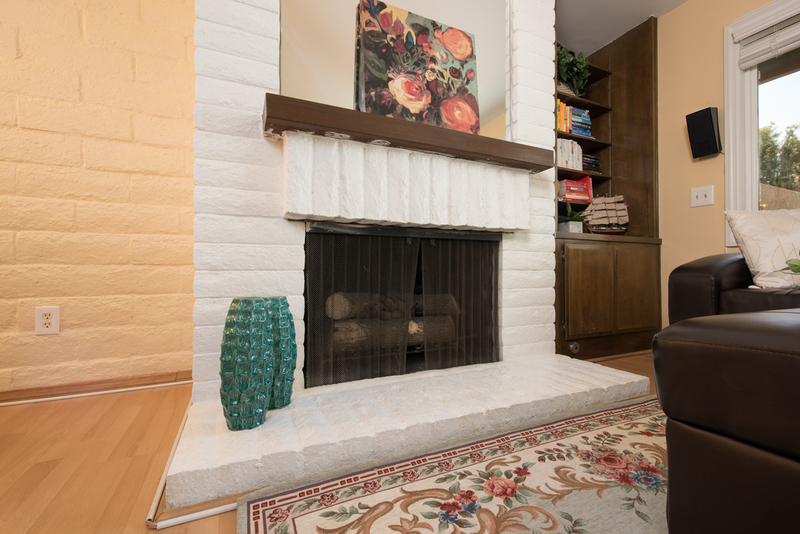 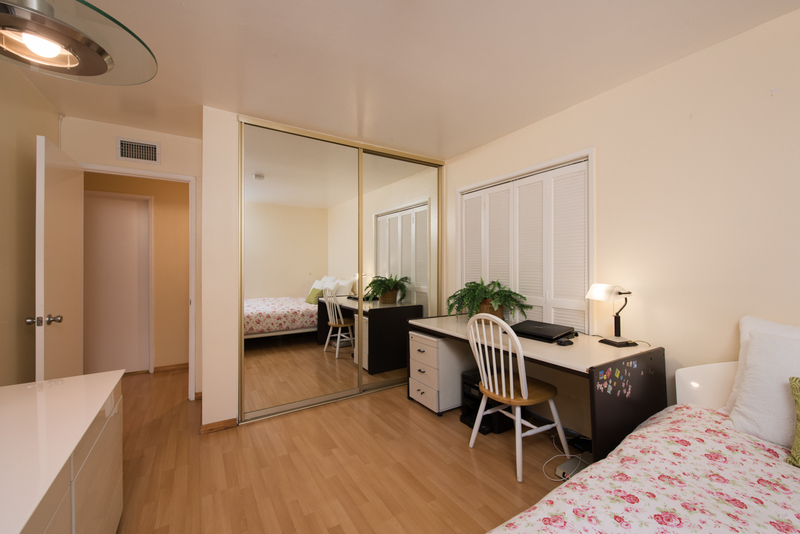 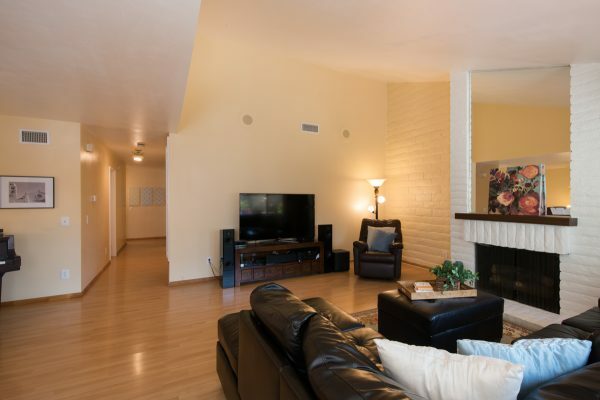 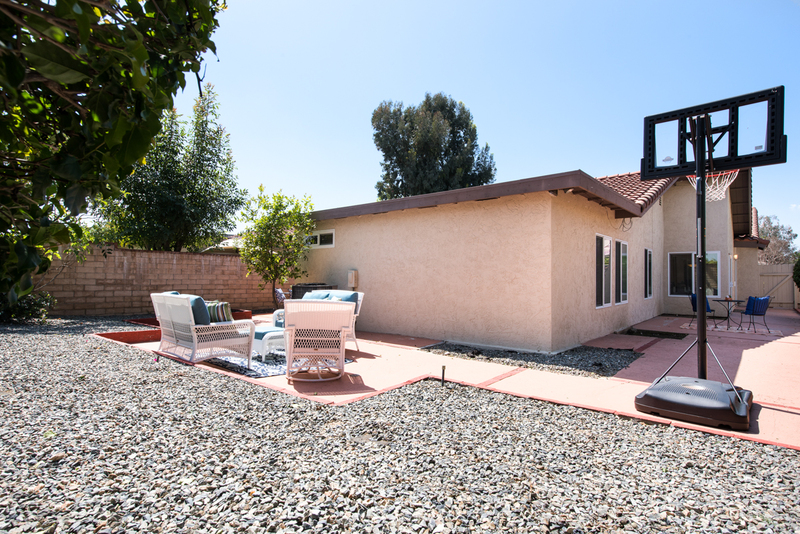 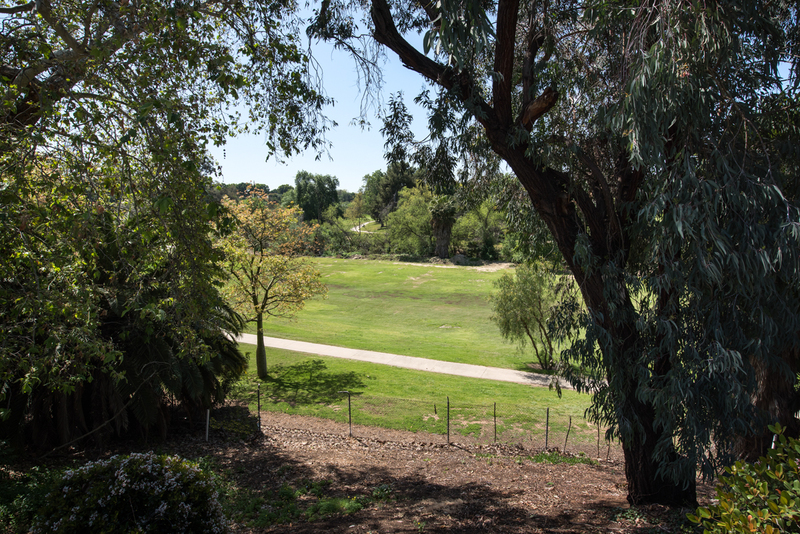 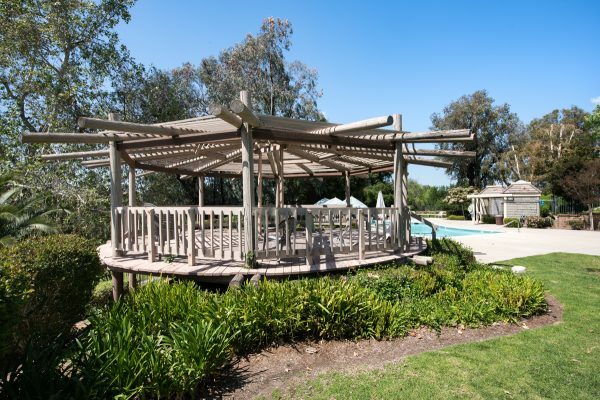 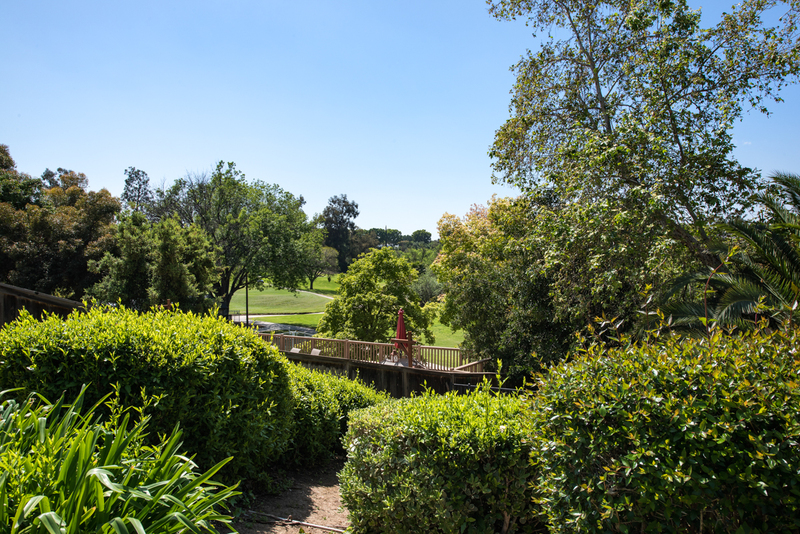 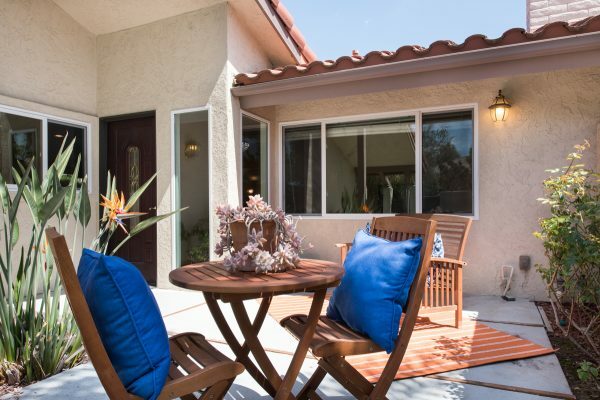 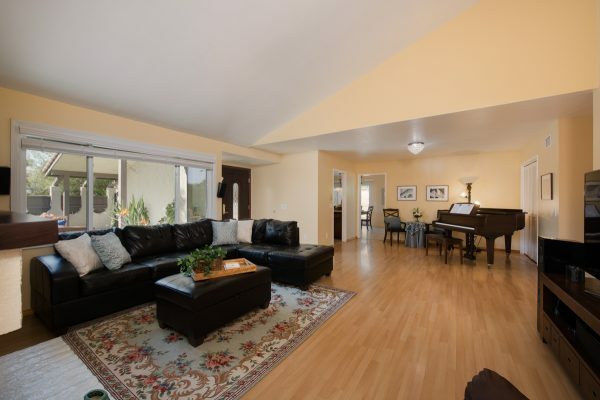 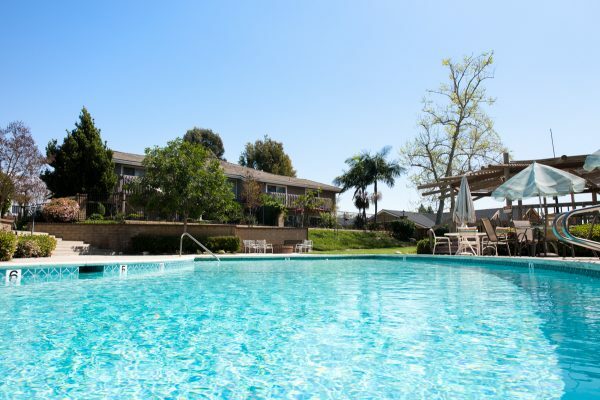 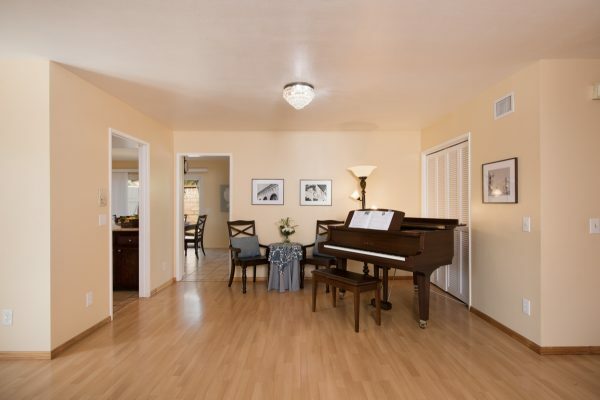 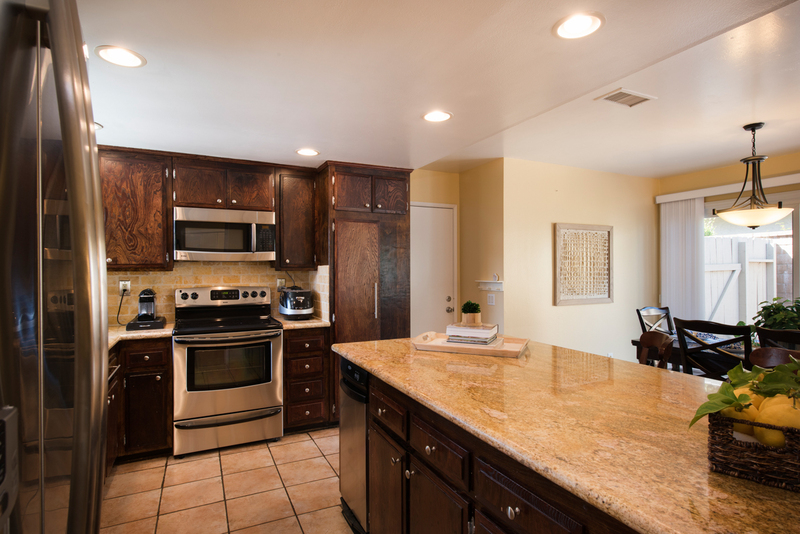 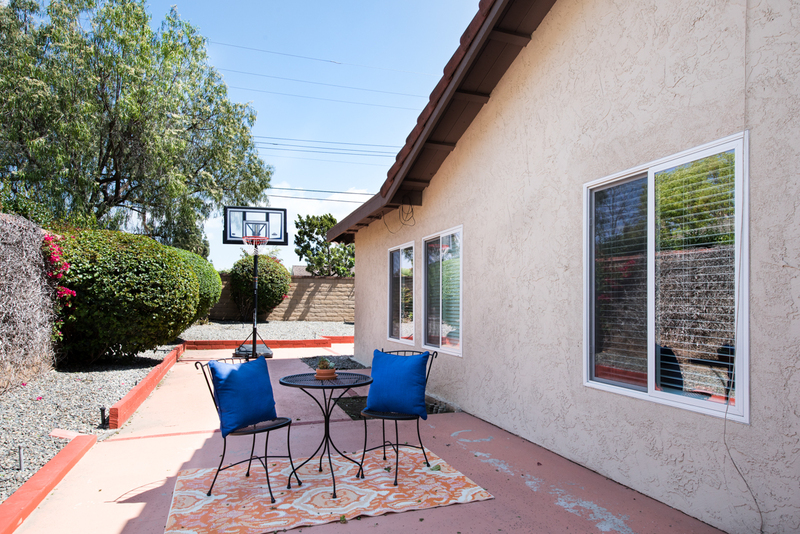 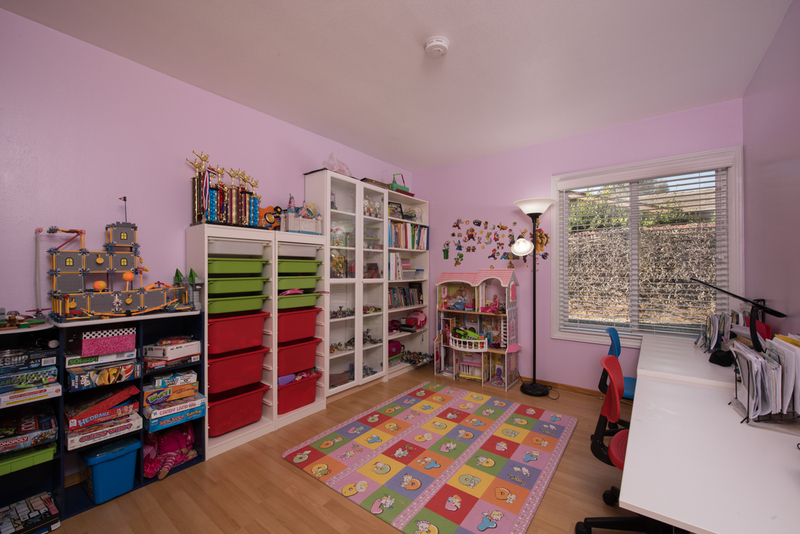 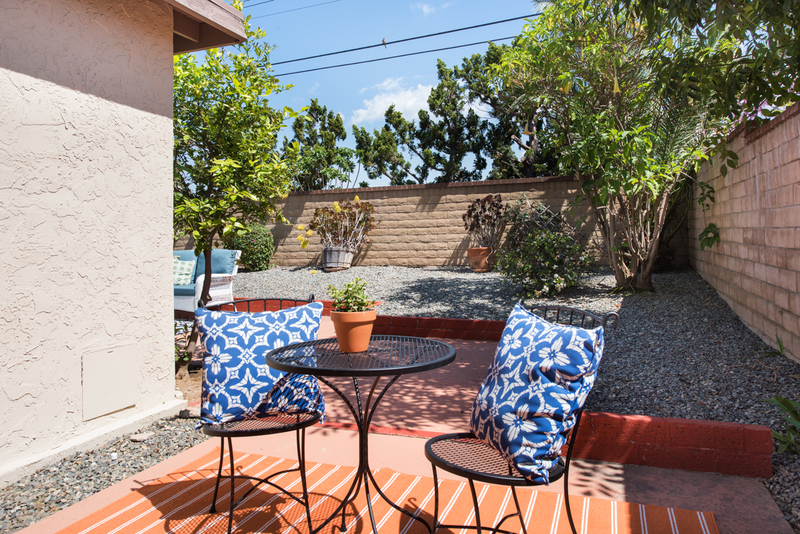 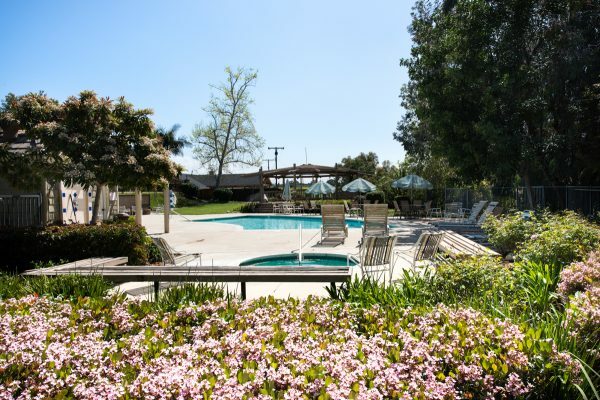 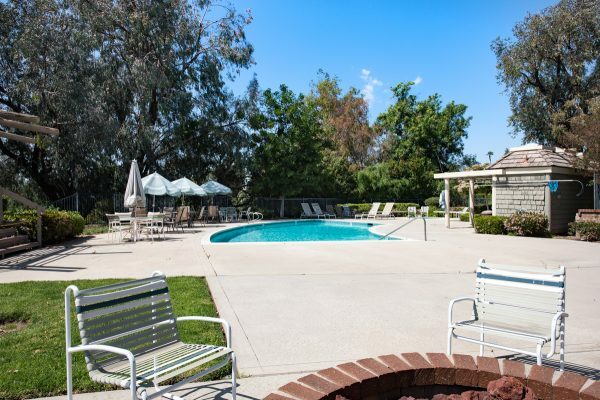 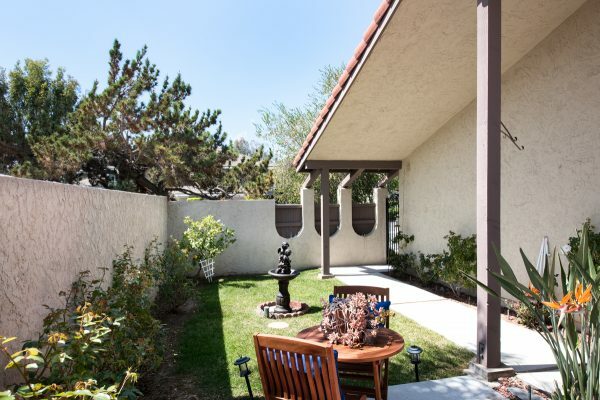 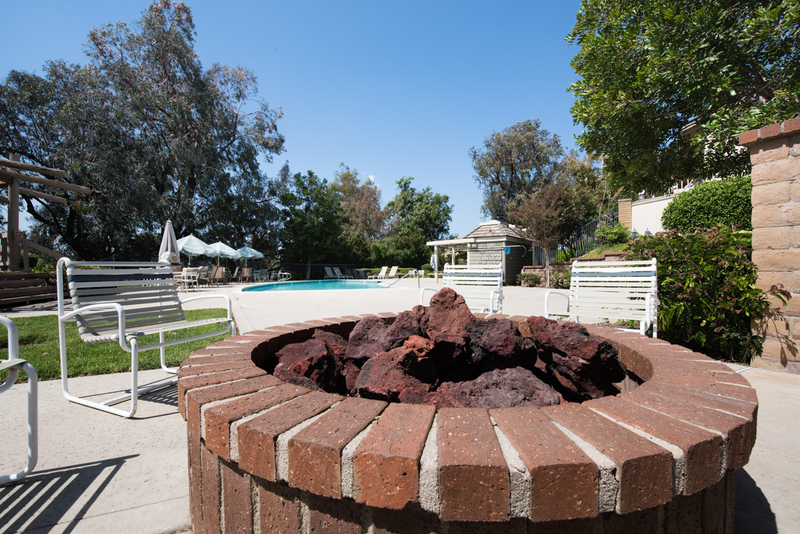 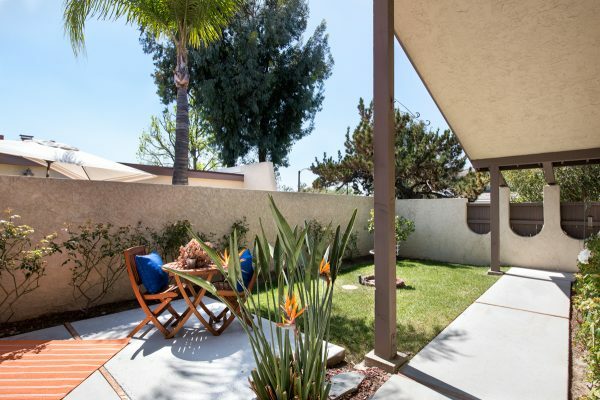 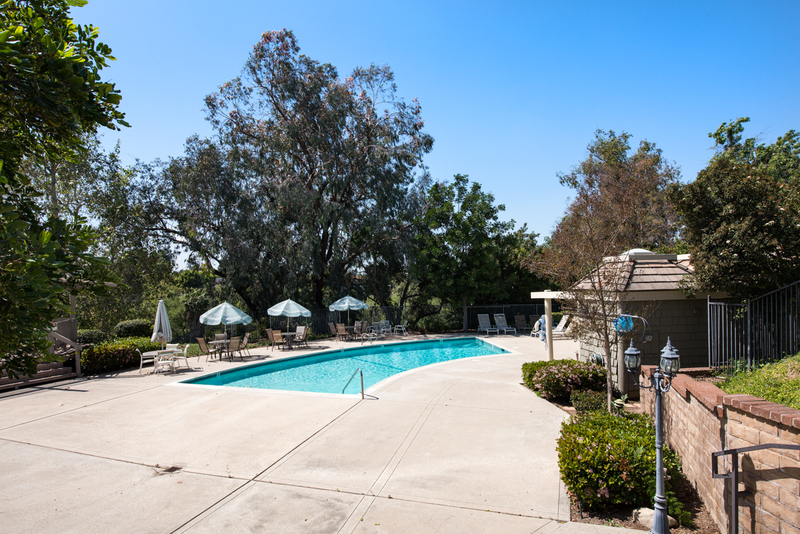 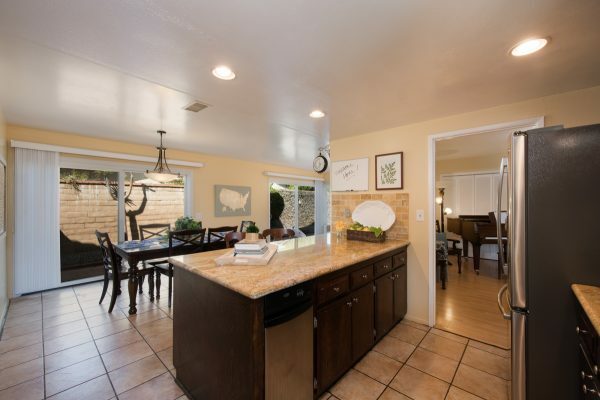 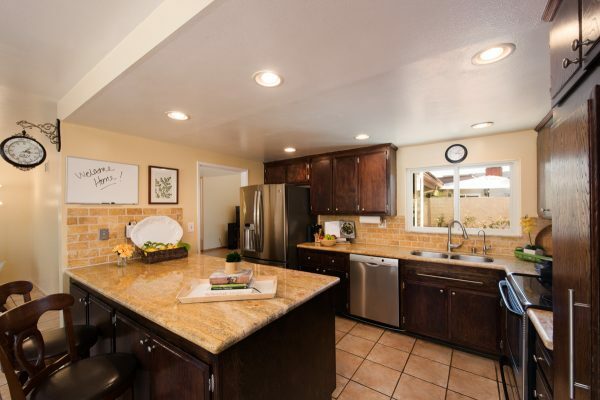 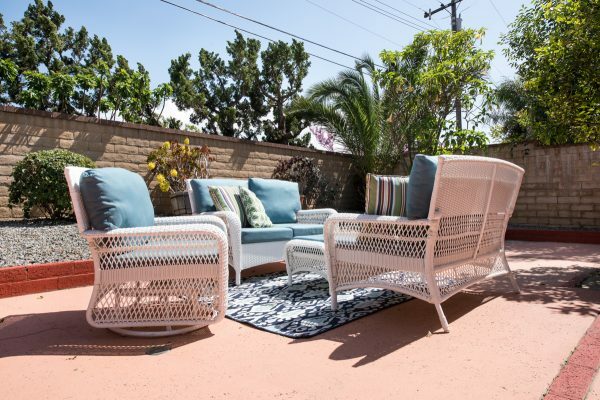 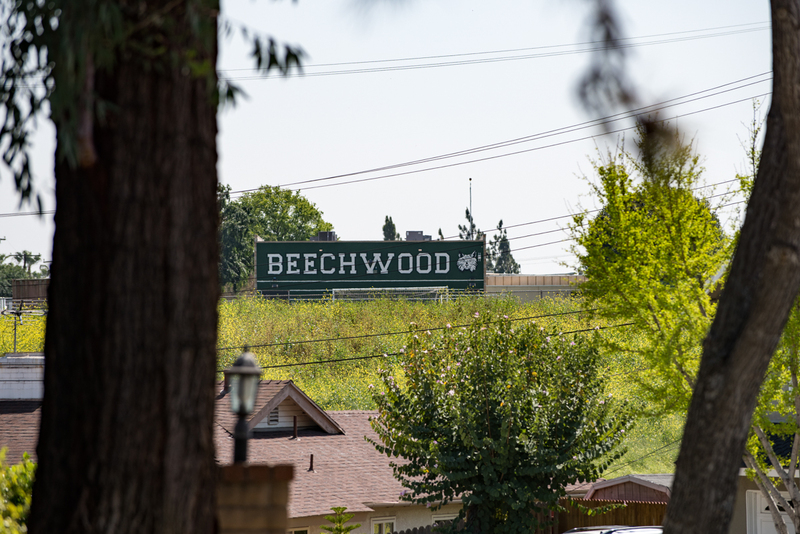 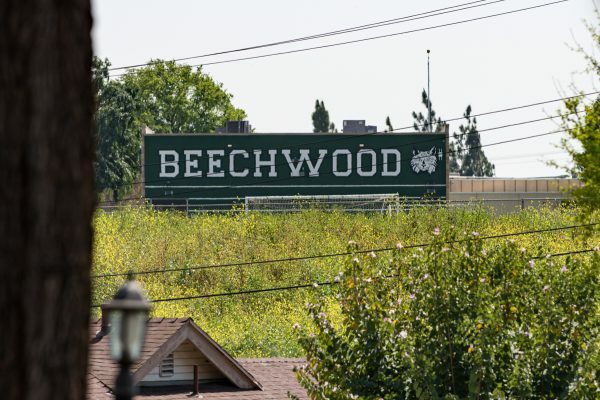 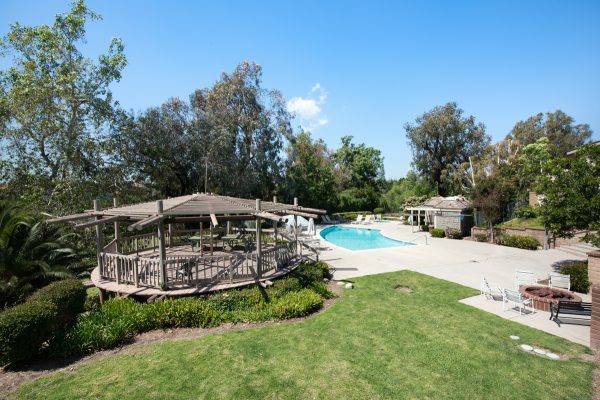 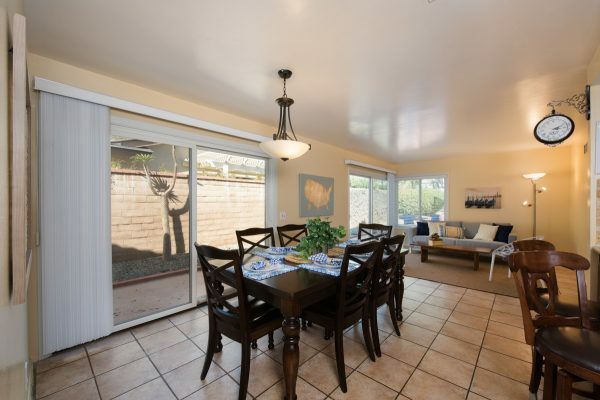 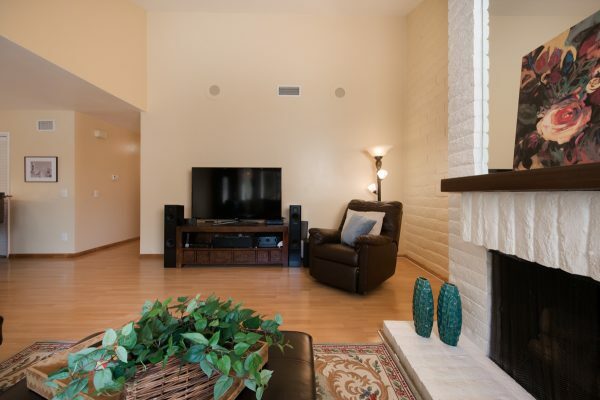 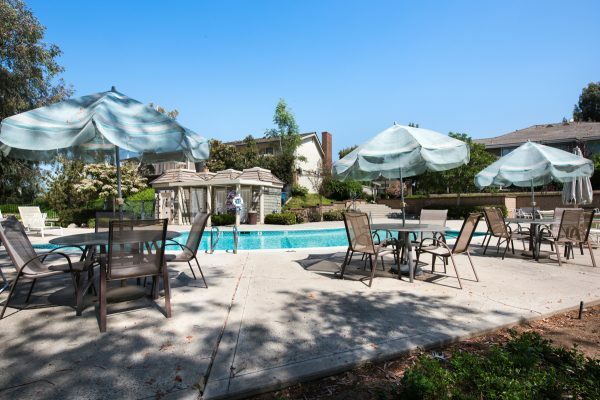 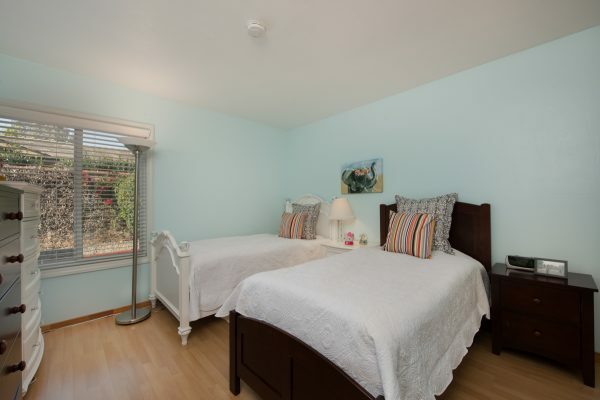 You can walk to Beechwood Elementary School, the Fullerton Loop, or dining and shopping. 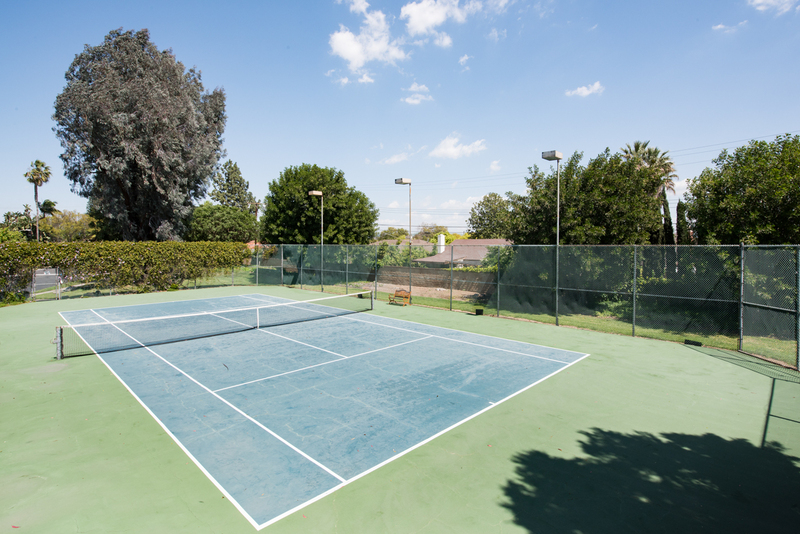 The neighborhood is well appointed and includes: Lighted tennis courts, green belts, and a large pool and spa area with golf course views. Relax and enjoy life as the HOA maintains the front yard, building exterior, and the many neighborhood amenities. 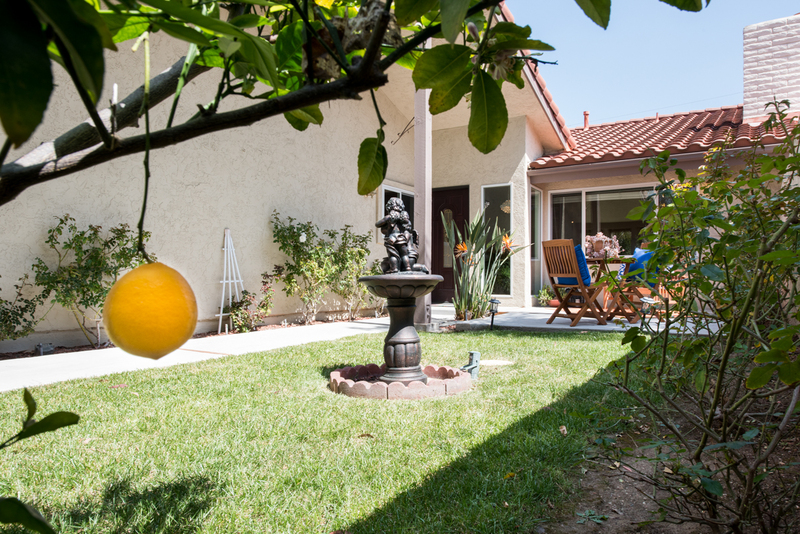 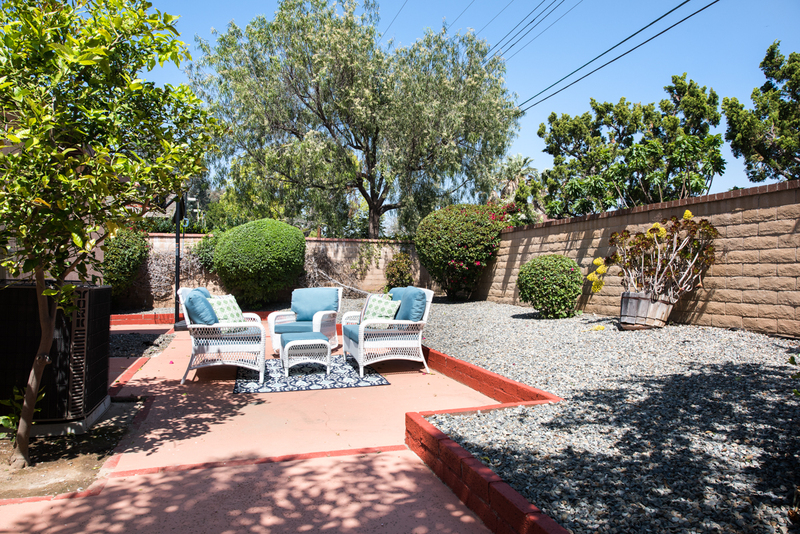 Step through the wrought iron gate into the private front courtyard with a park-like feel and fruit trees. 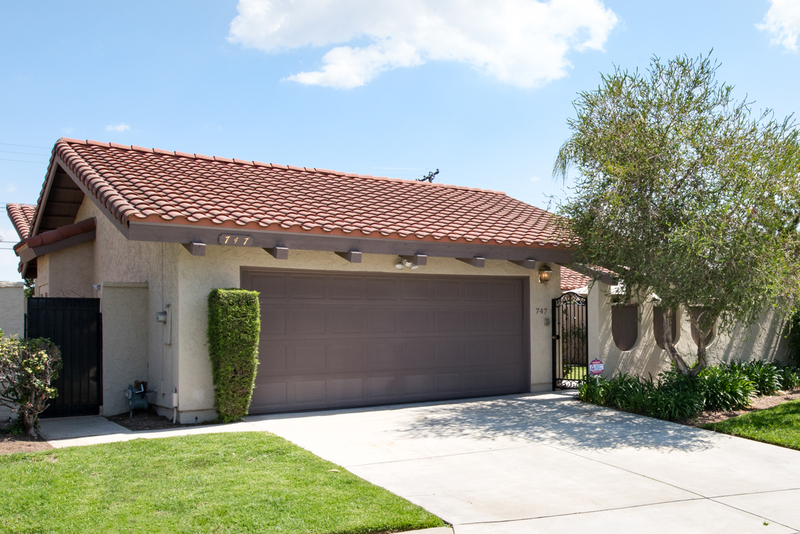 The new front door welcomes you into the move-in ready and spacious home with soaring vaulted ceilings, a warm fireplace and newer flooring. 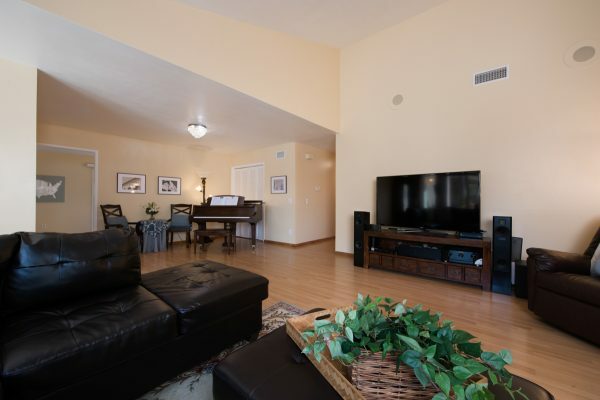 The expansive living room leads to a well-appointed kitchen with stainless steel appliances and granite counter tops. 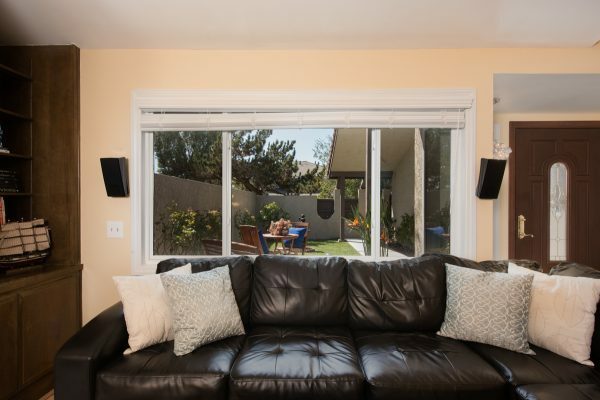 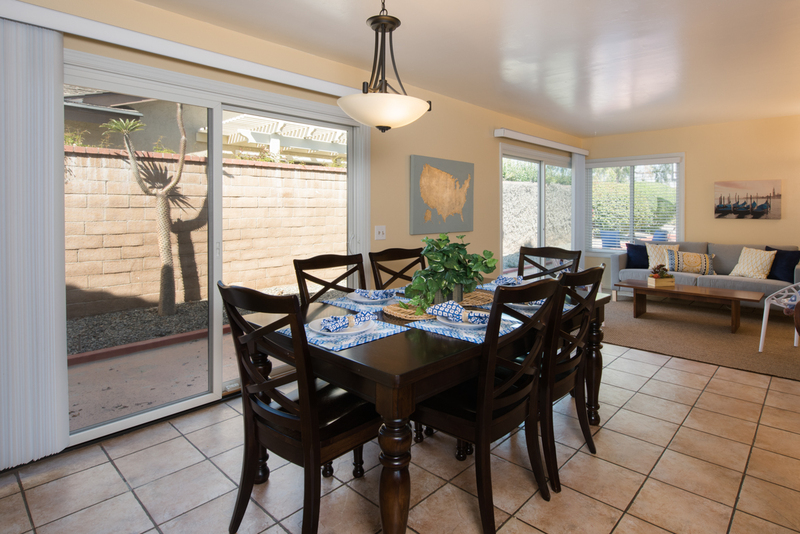 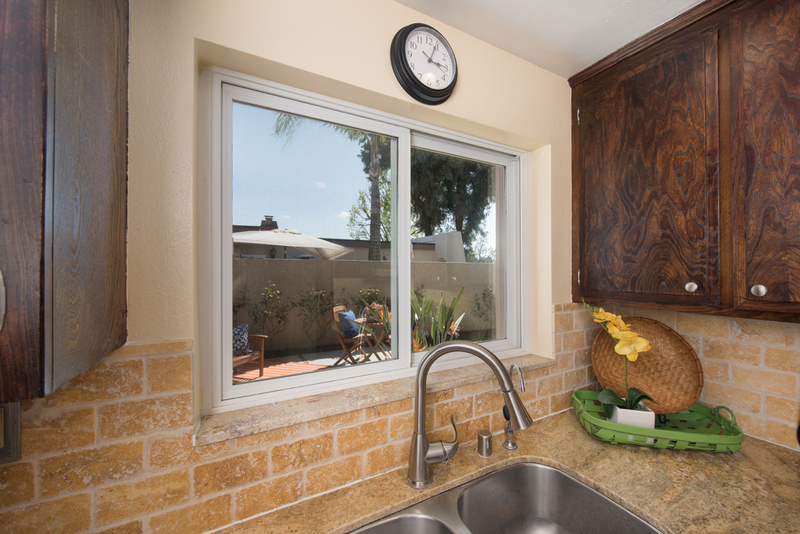 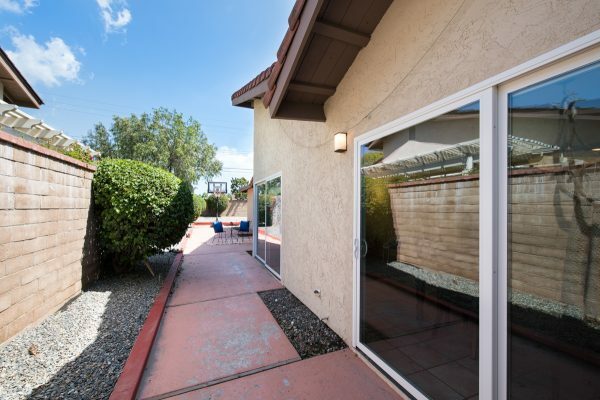 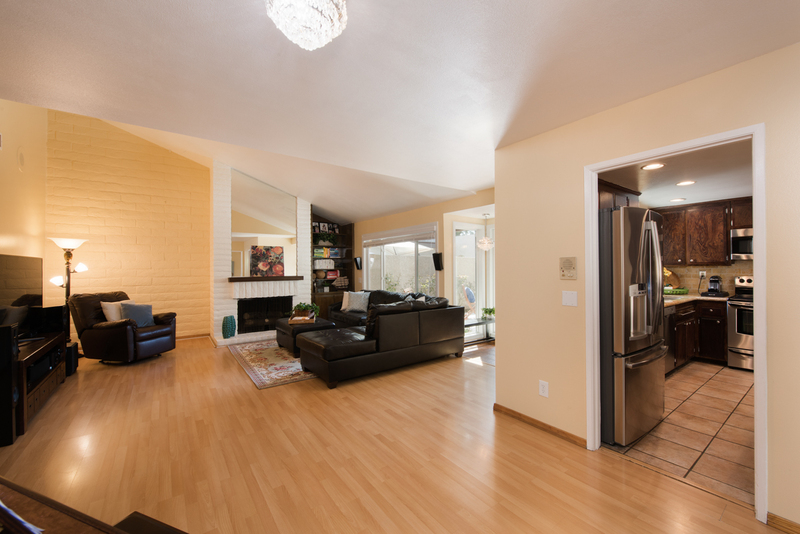 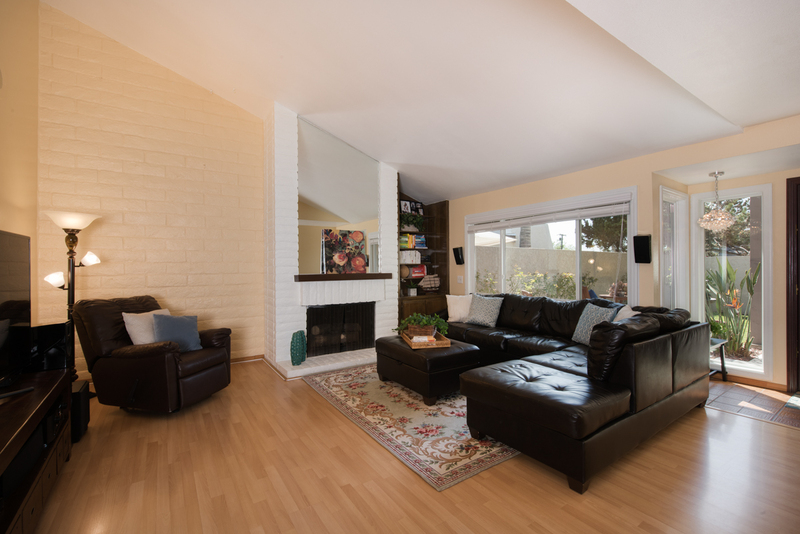 Warm natural light bathes this home through the dual pane windows and compliments the fresh paint and newer flooring. 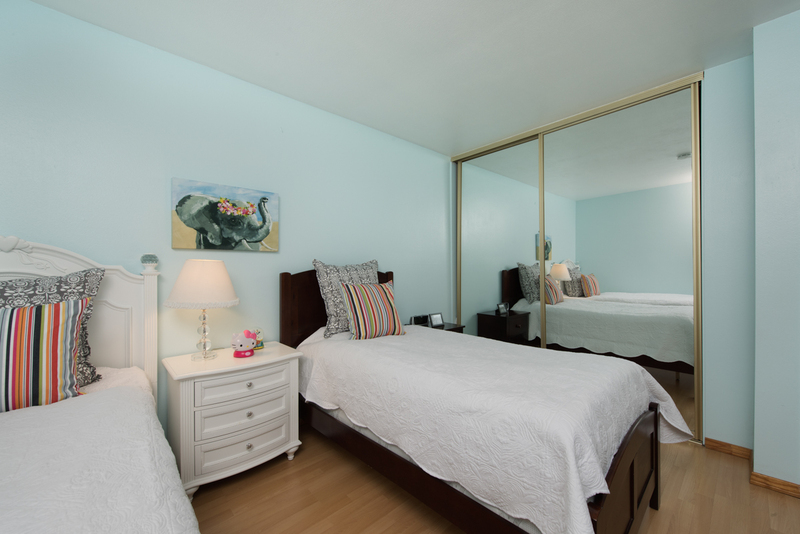 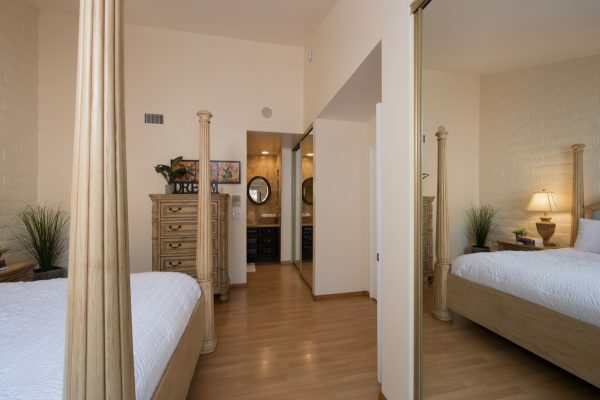 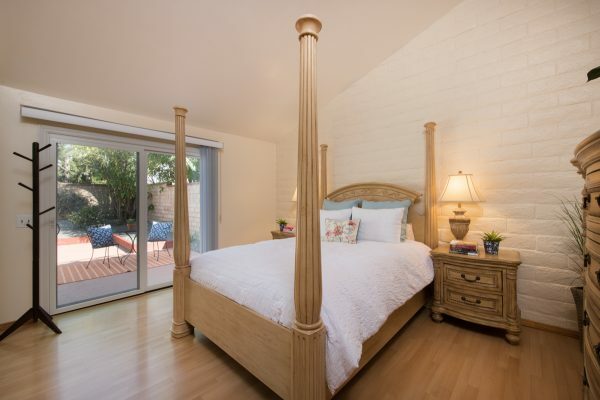 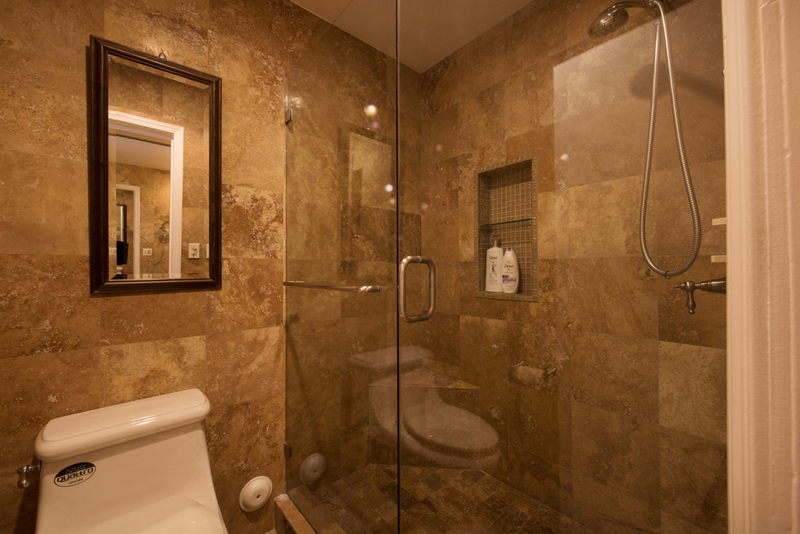 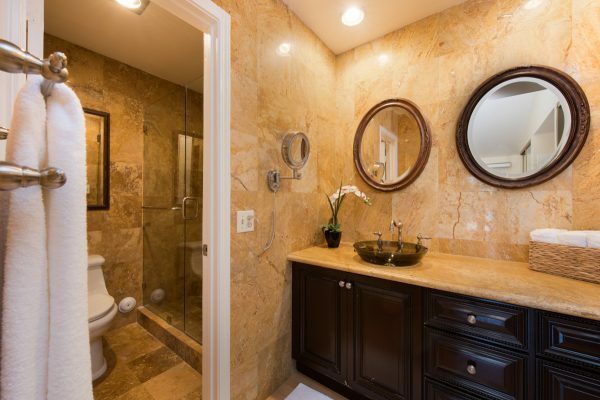 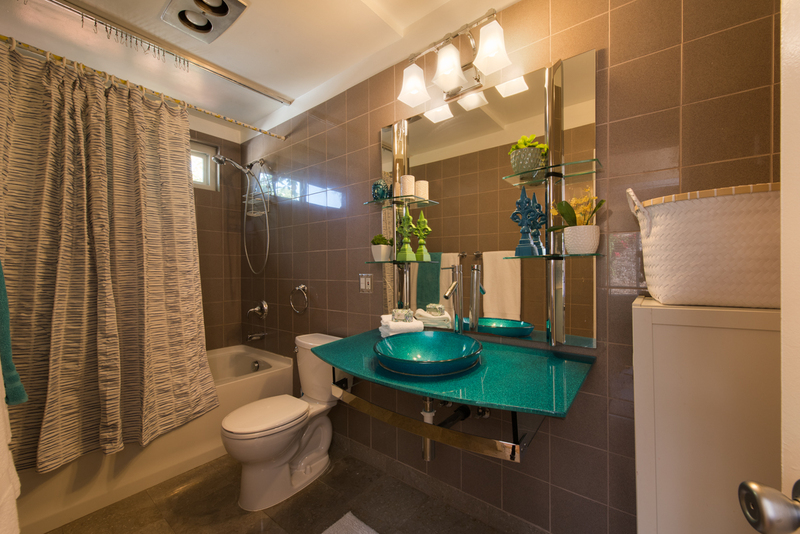 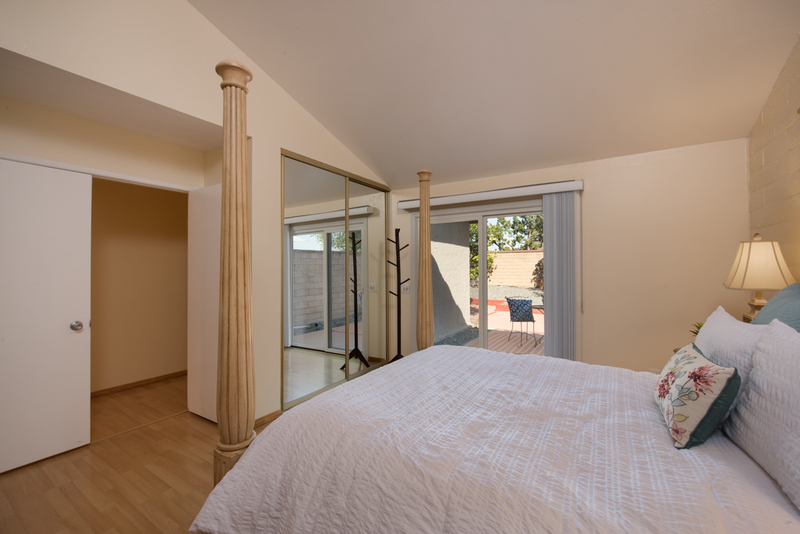 The master suite includes: An en-suite bath, dual master closets, and a remodeled bath. 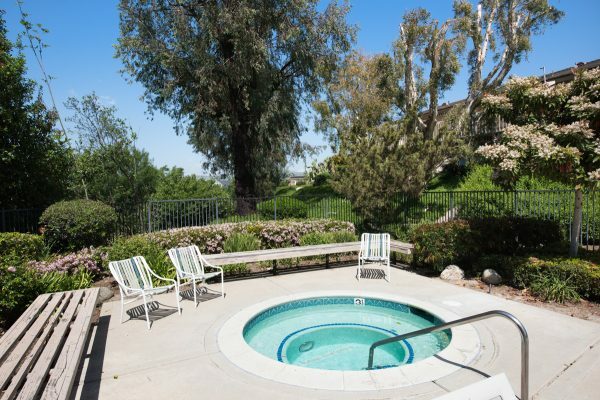 Live the life you’ve always wanted in this Stone Pine Estates attached home.